Directed by James Gray. 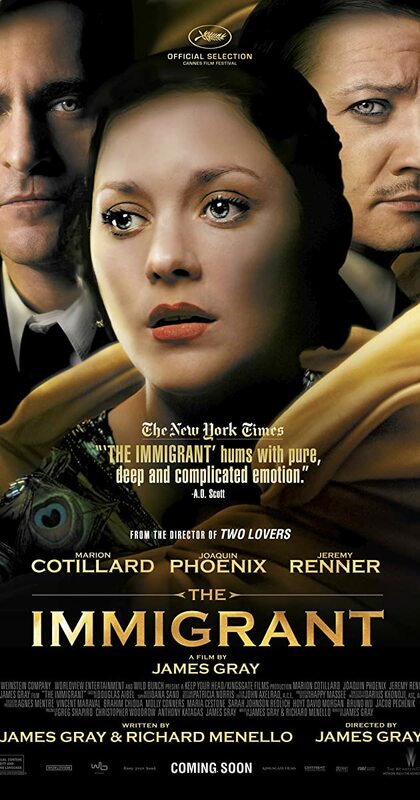 With Marion Cotillard, Joaquin Phoenix, Jeremy Renner, Dagmara Dominczyk. 1921. An innocent immigrant woman is tricked into a life of burlesque and vaudeville until a dazzling magician tries to save her and reunite her with her sister who is being held in the confines of Ellis Island.